They create it, I interpret it. And don't you think for a second that I don't know exactly what the hell I'm talking about. All Hail, Scrambly! King of The Bearded Egg People! There’s something for everyone in this installation piece created by the Northern Illinois’ artists collective known simply as The Meyers Boys; the delicately crafted crown, the regal white beard hand-tufted to the perfect texture, the wild, power-hungry eyes and stuffed, luxurious red nest on dark wood. 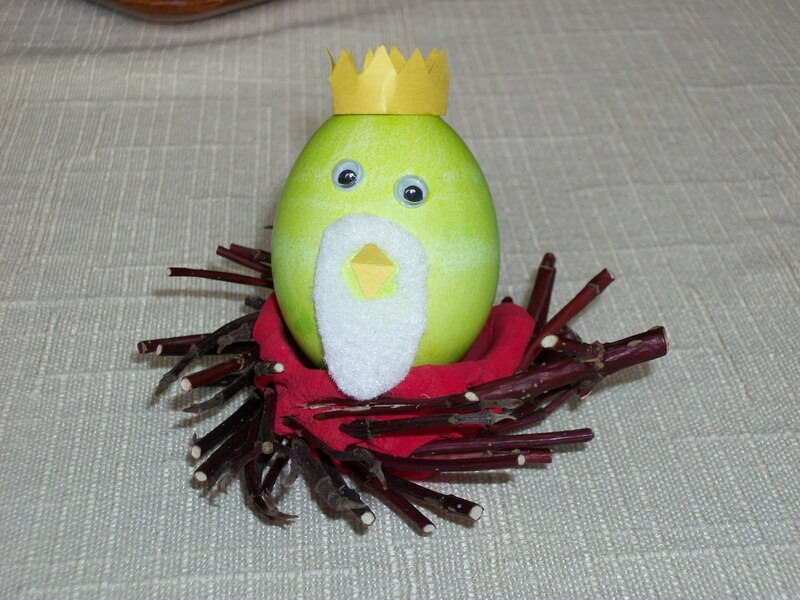 This is indeed a King and throne to behold, but who is King Scrambly? The placement of hard-boiled egg in nest (death in birthspace) is akin to placing an embalmed corpse in the delivery room. No matter how you gussy up the entrance, the end result is the same, detached affair -- crown be damned. Eggs-traordinary! Like the blog? Get the book. 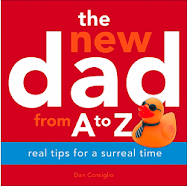 I also help new dads not be so freakin' clueless. Lies women tell their aging men to keep them sane. Follow by email. You must.